It is expected that HTC will launch the U12 smartphone in coming months with the high-end specs but looks like HTC is planning to jump directly to the U12+. Today, Evan Blass has posted the first image of the HTC U12+ on Twitter that reveals the design from the front as well as the rear. A person familiar with HTC’s plans has revealed that the HTC ‘Imagine’ is the U12+ and just as the name suggests it is a smartphone that will compete with the Samsung Galaxy S9+, the latest high-end phone from Samsung. Along with the image, some major specifications are also revealed by Evan. Talking about the design, we are finally getting dual camera setup on the phone; something that we missed on the U11 and U11+ of last year. 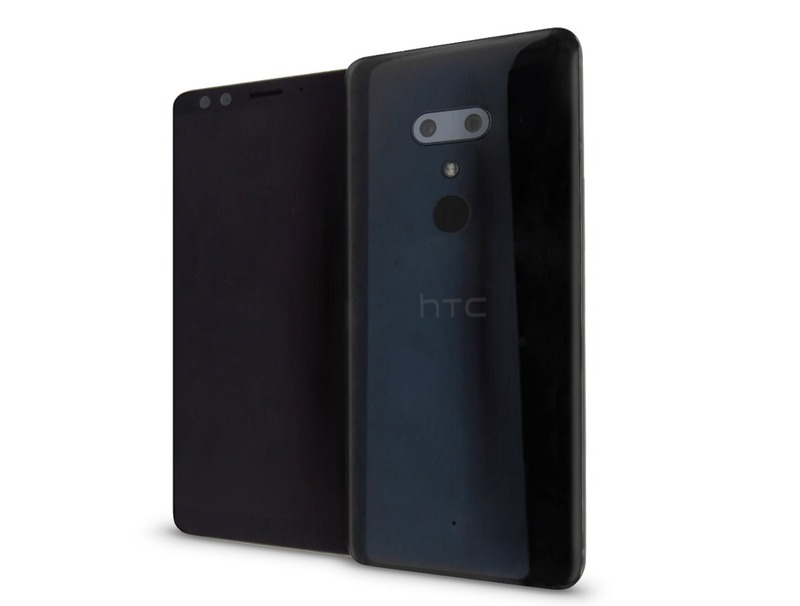 This time, HTC has added four cameras in total – Dual cameras on both the rear as well as the front. The rear camera setup is pretty similar to the LG devices, and it includes the horizontal dual camera module placed in the middle, with the LED flash and fingerprint scanner below it. Just like the U11+, there are multiple microphones for 3D Audio. An 18:9 display is present on the front with very minimal side bezels. As for the specifications, the HTC U12+ has a 6-inch WQHD+ LCD panel. Snapdragon 845 processor powers the phone along with 6GB RAM and 64GB/128GB storage. Also, there is an option to expand the storage via external microSD card. There is a dual rear camera setup that includes 12MP + 16MP sensors. On the front, there are dual 8MP sensors. Under the hood, the phone packs a 3,420mAh battery and Android Oreo runs out of the box. Some other features include Edge Sense, Sense 10 UI, Full treble support, IP68 Rating, Face Unlock and more. There is no information about the launch yet so stay tuned for more details related to the phone.